As a young girl, Kristle Westover drowned. 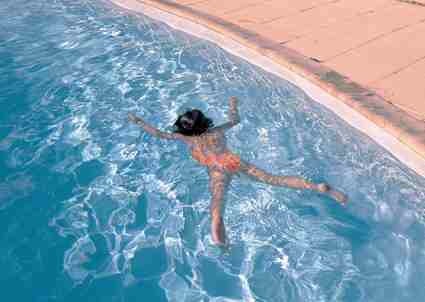 Forty minutes later she was found face down in the swimming pool where she had been playing. Her pupils were fixed and dilated. She was not breathing. She had no pulse. She was dead. Melvin Morse, MD, her treating physician, placed her on life support and told her parents she would not live, but if somehow she did, she would have massive brain damage. When she miraculously woke up three days later, completely normal, she told Dr. Morse and her parents she had been to Heaven. Hear Kristle tell what happened to her!